Sushi, sashimi, and other favorite Asian delicacies can be kept cool and fresh with Hoshizaki's HNC-120BA-R-S sushi case. 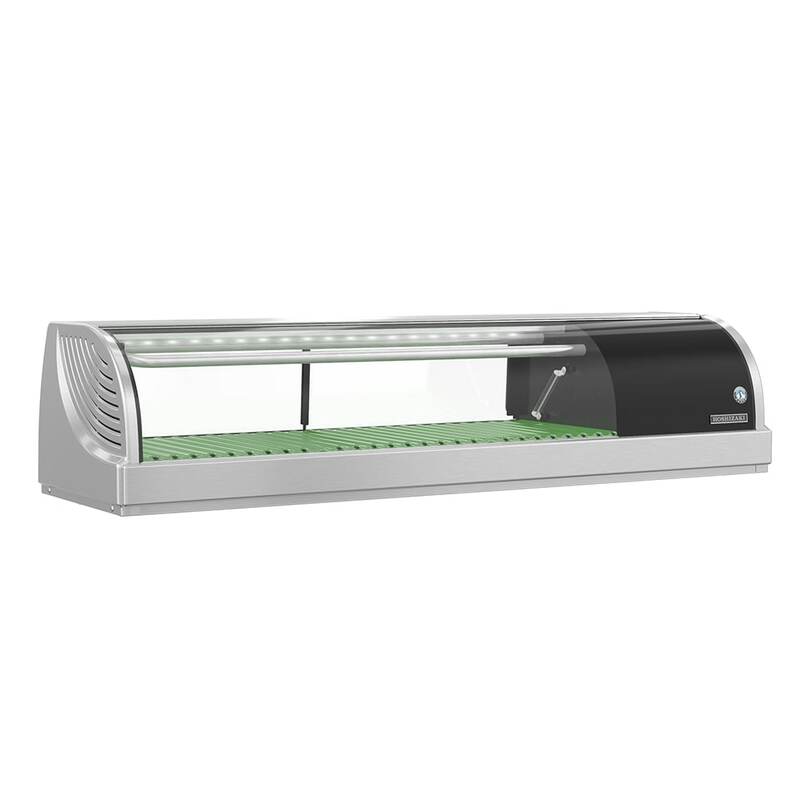 This is a self-contained, refrigerated unit that is easy to install, with a condenser that intakes air through the back and exhausts it out the side. This sushi case has solid food plates with a radius groove to fit sushi products. Slightly taller doors with a plastic seal are located at the end of the unit, opposite of its handle. "The quality of the product itself is something you can rely on. 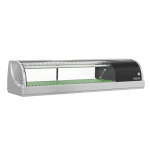 We used to have Turbo-Air brands' display case but due to the temperature doesn't..."
"The quality of the product itself is something you can rely on. We used to have Turbo-Air brands' display case but due to the temperature doesn't really go down and is held higher than it's supposed to be (41F by law) especially in summer season, we decided to replace it with reliable Hoshizaki's product. We are happy to see the temperature is usually being held at 39F. To everybody tries to get this (or any display case), don't get complicated in choosing Right or Left refrigeration! Right means the condensing unit is on right hand side from customers' standpoint, not from chefs' side!!"